(Newser) – Sally Jenkins has zero sympathy for the NFL's "32 arrogant owners" or its "121 clubby, egotistical refs," but she warns in the Washington Post that they better settle their dispute before players start getting hurt. 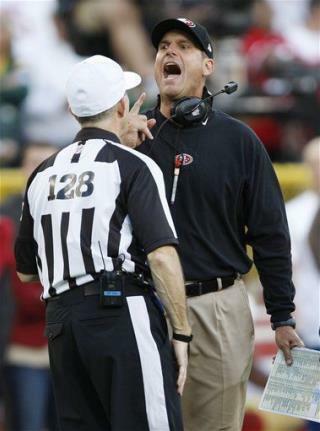 The replacement refs just aren't cutting it. "There are construction sites safer than NFL stadiums at the moment," she writes. Jenkins offers suggestions on how to solve the two big sticking points, over pensions (yeah, NFL refs get them) and the league's demand for better accountability to weed out lousy ones. There are many more injuries up in the stands than there are out in the field. Lets put a few refs up in the bleachers if we want to make the game safer. What does refereeing have to do with safety of players? We non-jocks want to know. Short term memory is amazing.... last year the union refs sucked.